You can find the Lukka Hotel on the Çukurbağ Peninsula. 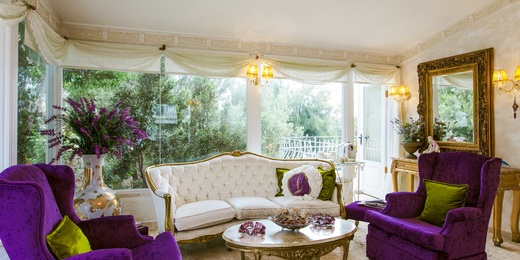 Everything about the hotel will make you feel as if you were staying in a palace, from the lovely gardens to the exquisite architecture to the beautiful decor. You will feel as if you have been transported to another world and time. Did you know that the word “turquoise” comes from “Turk” meaning Turkish, and was derived from the beautiful color of the Mediterranean Sea on the southern Turkish coast, or the “Turquoise Coast.”. 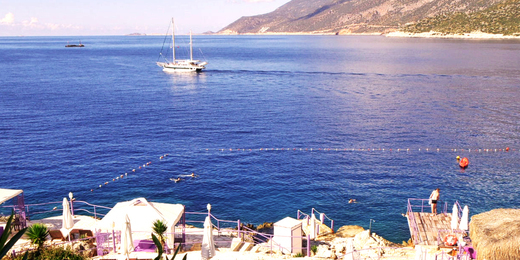 At the Lukka, you can not only see that beautiful turquoise coast, you can swim in it as well. You may walk down to our private beach where you will find yourself sitting by the Turquoise Coast, a sea untouched by chemicals and completely pure. Or you may prefer our Olympic sized pool (sea water) next to our scenic garden. Wherever you go, you will be enchanted by the endless blue and green you will find at the Lukka. There are several factors that can contribute to pain and tension within the body. Stress, injury and even bad posture can all interfere with leading normal, pain free lives. Massage therapy is one very effective way of dealing with such ailments. Our masseuse is well trained in Thailand and India for massage therapy.